Harrison, my oldest, turned sweet 16 on Sunday. I always think of his special day as my birthday as a mom and my own personal Mothers’ Day. Last week, in preparation for his surprise party, my husband and I winnowed old videos into 15 minutes worthy enough to share with twenty-five discriminating teens (many of whom have studied film at Chinese International School). We laughed like crazy and I shed a few tears editing Harrison’s trajectory from tiny and motionless before his first bath to the last scene where he strides off the rugby pitch soaked through with rain. These sixteen years have meant joy but also countless moments caring for his daily needs and stressing over how he would turn out. That phase of intense nursing passed: the surgery was had and his asthma came under control. But my attitude of "doing to" carried over to other spheres: "What should I be telling him to do?" "Have I checked on everything that needs to be checked?" "Have I done enough?" There was always something Harrison could be doing more of. His grades were good but not off the charts, so he could be reviewing more. He could be writing new Chinese characters ten times each, not twice. He could be picking up his guitar or the basketball and practicing 30 minutes a day. I created elaborate reward charts, even enlisting his artistry so he would feel "buy in." There were things I wanted him to do less of too: NOT go back to his computer game, NOT turn on his DS. Oh, how screens especially would set off a litany of put-downs, orders and threats! My language was one of judgment and unacceptance. I am not alone. Recently, when I gave my business card to two different people, they had identical reactions. Each half-jokingly suggested I change the “Become the parent you want to be” to “How to get your child to be the child he should be.” I heard myself in those words. In the first parenting course I took (the second time was with hubby), I felt downright indignant when the instructors suggested we might have to change. I had not signed up for THAT! So, it was not that surprising when, among the video footage, we came across an interview my husband did a few years ago but never shared with me. It was the day before my birthday and my husband was fishing for compliments on my behalf, asking Harrison: “What's great about Mommy, why do you love her?" Harrison was at pains to answer -- after hesitating, he said he loved me because I took care of them. Daddy wanted more, "Is she fun?" Harrison got really uncomfortable and giggled, finally admitting "She's not really that fun" and “She can be terribly annoying at times” with a smile to soften the words. He certainly didn’t want to hurt me but how else to answer these questions? Never one to openly resist, he was responding to my power and control with withdrawal and muted resentment. Do my children have to have my work ethic for me to love them? Should I wish my punishing work habits on anyone, much less my kids who are entitled to a childhood? What’s more important: my values or my relationship with my children? Changing my thoughts, beliefs and patterning has not been easy. And I still occasionally fall back into the well-worn path of blaming & shaming. But I have been working on fresh new tracks of being mindful and choosing my responses rather than being hijacked by my emotions (read more about how we can always train our brain below). Today I can state unequivocally that my 16 year old Harrison would not need to hem or haw in an interview about me; he might even gush a little. I’ve swapped power (which fades as our growing kids come to need us less) for influence (an enduring willingness on his part to listen to what I have to say because he knows I do the same for him). By modifying, I’ve given myself the sweetest Mother’s Day present ever. Last week, Harrison changed his Facebook avatar to this picture of us. I liked it. 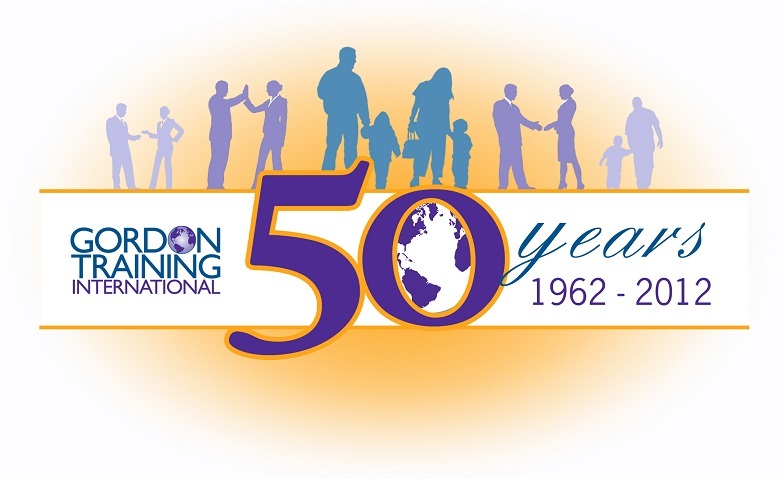 -- Among the free parent resources on the Gordon Training Website is this article which states: "Most professionals (and many parents) now accept the idea that people can change significantly when they get the opportunity to learn and practice communication and conflict resolution skills." -- In describing his concept of "mindsight," Dr. Daniel Siegel states: "How we focus our attention shapes the structure of the brain. Neuroscience has also definitively shown that we can grow these new connections throughout our lives, not just in childhood."